Reliability. Toughness. Comfort. These are adjectives that easily describe the Chevy Silverado, and these attributes aren’t only specific to recent model years. The nameplate has received similar praise throughout its nearly 20-year run, and the pickup is still going strong to this day. Regardless of your choice, you’ll be satisfied in your “new” pickup. The Chevy Silverado has proven itself as one of the best truck options on the market, and that sentiment holds true for used models. Pursuing a used Silverado is easy. Narrowing down the model year is trickier. Since the nameplate has been on the market for almost two decades, you’ll have a variety of model years to choose from. Each of the Chevy Silverados are perfectly capable, and you’ll be happy regardless of the model year you opt for. Of course, there are still several versions that stand out for their distinctive design, innovative engines, or (simply) their standing in the brand’s history. The opening model year for a specific generation is particularly beloved. 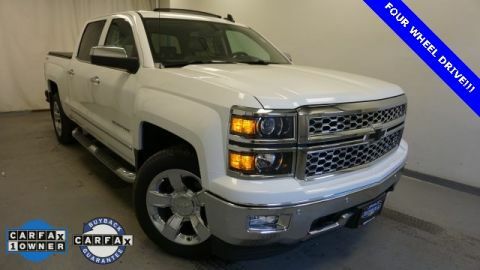 There’s no reason to limit yourself to the Silverados compiled below, but they should certainly be considered if you’re debating between two model years. Chevy has upgraded and revised their iconic pickup over the past two decades, but that doesn’t mean the original Silverado should be ignored. The nameplate was introduced in 1999, and although it replaced the beloved Chevy C/K pickups, the vehicle was an instant hit. The engineers cleverly borrowed several of the C/K’s styling cues (including the bold, athletics lines) to produce an innovative and widely embraced vehicle. The familiar Chevy truck design stuck around, but several revisions made the Silverado its own entity. Designers also revamped the interior, adding more style and luxury to provide the ultimate driving experience. The final four years of the Silverado’s first-generation were among the best in the nameplate’s history. The brand offered a variety of choices with their pickup truck, and the nameplate also saw several stylings that left the vehicle better than ever. This four-year stretch of Silverados saw the brand offer four different engine choices. The V6 was the smallest of the bunch, and customers could also choose between a trio of V8s. Potential buyers could also opt for several different transmission choices, two- or four-wheel drive capabilities, and a variety of different body styles. 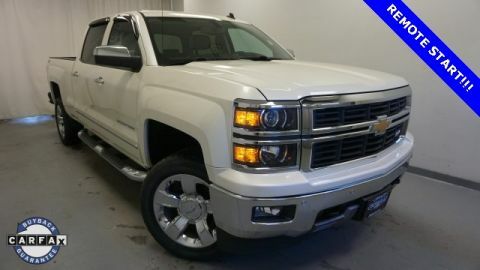 Essentially, by pursuing a Silverado from this four-year run, you can practically guarantee that you’ll be able to find all of the amenities, features, and capabilities that properly fit your needs and desires. What’s the purpose of purchasing a used truck in the first place? While most drivers prefer the satisfaction of driving around in a new ride, there are some incentives to pursuing a used model. Predictably, these pre-owned options are significantly more affordable, and that extra bit of money may allow a buyer to add some features or amenities. Meanwhile, if you’re planning on using your pickup at the worksite, operating a used Silverado means you won’t be as nervous about any scratches or dents. While it also goes without saying, it’s worth noting that Chevy consistently produces some of the most reliable vehicles on the road. You’ll certainly be able to trust any used Silverado, assuming it’s been well-maintained. The Chevy Silverado isn’t expensive. Considering all that the vehicle has to offer, the accompanying price tag is very reasonable. Still, some customers are unable to invest in a new vehicle, so a used version is their only logical option. Purchasing a used car can also help buyers save money on insurance and registration fees. However, even if you could realistically fit a new pickup truck into your budget, it still may be in your best interest to pursue a used model. These Silverados are just as capable as the new versions, and they’ll often cost you thousands of dollars less. With this extra money, customers can even dish out for several features that were previously unaffordable on a new pickup. The abilities of the rugged Silverado make it the perfect choice for the worksite, but you may be compromising the vehicle’s exterior style by trekking it through the mud. By hauling cargo or traveling on uneven terrain, a driver will be making their new pickup more susceptible to scratches and dents. If you value the look of your vehicle, perhaps it’s best to pursue a new commuter car while also purchasing a used pickup. By spending a fraction of the price, you surely won’t be as neurotic about keeping your truck in pristine condition. The Chevy Silverado has consistently proven to be among the safest pickups on the road. The nameplate has been honored with a number of awards, and it’s consistently earned a five-star rating from the National Highway Traffic Safety Administration since 2011. These aren’t just impressive accolades; they’re also rather important. Regardless of whether you’re purchasing a new or used Silverado, you’re going to want to be assured that all of your passengers are safe. The nameplate has continually rolled out innovative technology and protective features, meaning you’ll be secure regardless of the model year. The Silverado has always included several innovative safety features that help keep the driver and passengers protected. Even the 2005 model included several innovative inclusions, like child seat anchors, electronic brake force distribution, and an engine immobilizer. Thanks to these features, there was a reduced chance that a Silverado owner would accidently get into an accident. Of course, those features have evolved over the past decade-plus. 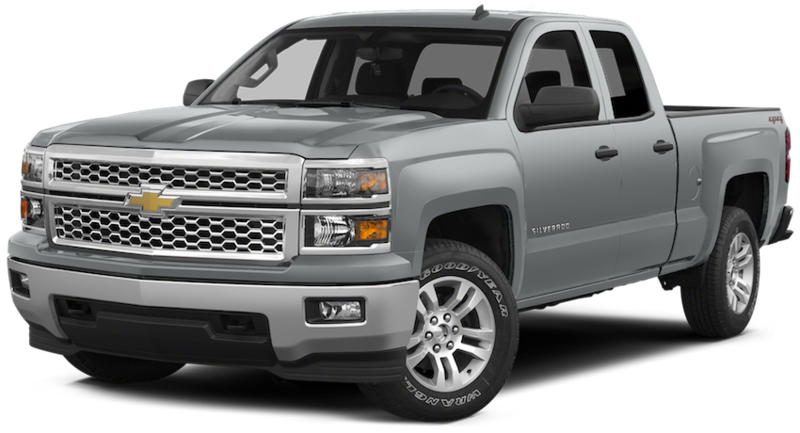 Recent models include a plethora of technologies that will keep the Silverado’s occupants secure. The Lane Departure Warning audibly and visually alerts the driver when it’s unsafe to switch lanes, while the Forward Collision Alert will anticipate a potential accident by preemptively alerting the driver to engage the brakes. Accidents aren’t completely avoidable, so Chevy has done its part over the years to assure that Silverado occupants will be safe in the event of an emergency. The pickup has often been composed of a steel cage, providing maximum protection during a collision. Airbags have evolved a bit over the years. Recent models include six bags accompanied by an advanced sensor. This detection technology has been around since the early 2000s, with the sensing deactivation system determining whether deployment is necessary. Meanwhile, the safety belts now include pretensioners that will keep everyone in place during a crash. 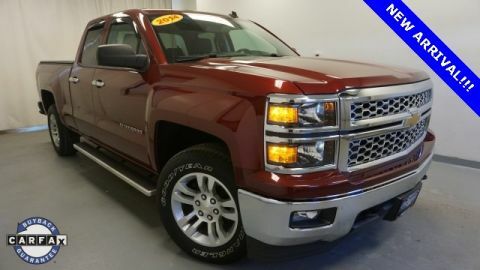 If you’ve established that you want a used pickup truck, there’s truly no better option than the Chevy Silverado. The vehicle has been consistent throughout its nearly 20-year run, and the dependability of the nameplate should instantly make it a target. The next step is actually purchasing that used Silverado, but if you live near Albany, New York, you’ll have absolutely nothing to worry about. DePaula Chevrolet offers an assortment of the brand’s new and used vehicles, and the dealership’s customer-focused agenda means you’ll be receiving the best service and the best prices. 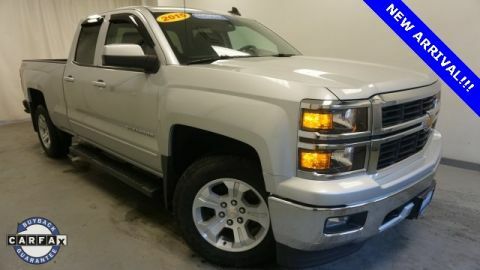 There’s even a trustworthy service center, meaning you won’t have to look elsewhere for all of your Silverado demands.